Why do we keep failing in identifying reliable biological markers in depression? Despite major depression is a raising and wide spread health problem, the knowledge about its biological bases is limited. This not only has consequences epistemologically speaking, but also has clinical implications. 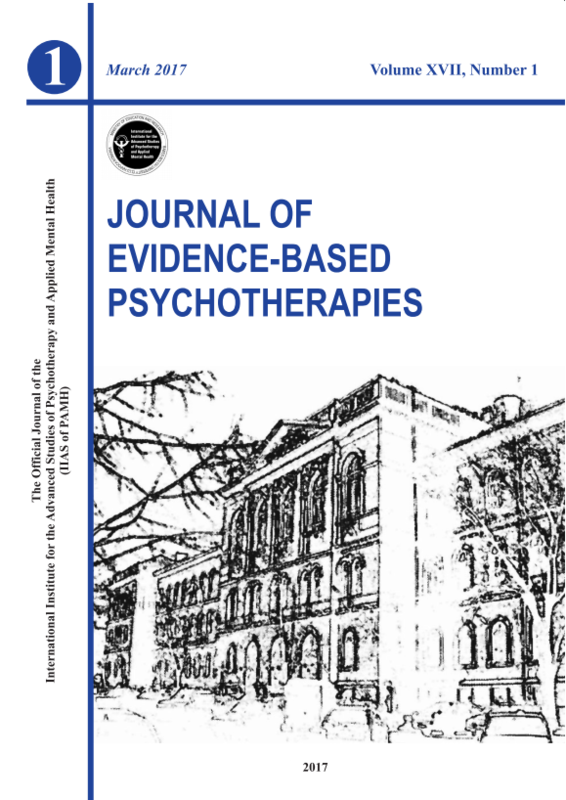 However, considering the whole literature on biological bases of depression, it seems that a precise or unique biological marker enough specific and sensible to be used in clinical practice or to better understand the psychopathology of the disorder is not available and research has produced highly heterogeneous results. Moreover, the studied markers are often assessed with expensive and not commonly available techniques, limiting their possible application in clinical routine. Here we hypothesize that the emerging clinical and biological heterogeneity mainly reflect the fact that depression, as most of psychiatric disorders, is not a unique condition, but the sum of different entities with similar symptoms. Such entities may rely on different and only partially overlapping biological features. Therefore, rather, than continue to invest on highly inconsistent studies, we sustained the necessity of a shift in the study paradigm. Namely, future researches may focus on a bottom-up approach considering patients with homogeneous biological markers and evaluating whether these markers correspond to precise clinical features. Unsupervised supported vector machines and other data driven approaches may represent the best tool for such type of research. Pursuing the idea of a clinical exploitation of this type of research we also considered markers derived from electrocardiography (like the heart rate variability) the most promising given the relatively low cost, simplicity and availability of this technique. Acharya, U. R., Joseph, K. P., Kannathal, N., Lim, C. M., & Suri, J. S. (2006). Heart rate variability: a review. Medical and biological engineering and computing, 44(12), 1031-1051. Alvares, G. A., Quintana, D. S., Hickie, I. B., & Guastella, A. J. (2016). Autonomic nervous system dysfunction in psychiatric disorders and the impact of psychotropic medications: a systematic review and meta-analysis. J Psychiatry Neurosci, 41(2), 89-104. American Psychiatric, A., & American Psychiatric Association, D. S. M. T. F. (2013). Diagnostic and statistical manual of mental disorders : DSM-5. Washington, D.C.: American Psychiatric Association %W 17665776 %@ 9780890425541 (hardcover alk. paper) 9780890425558 (pbk. alk. paper). Bosaipo, N. B., Foss, M. P., Young, A. H., & Juruena, M. F. (2017). Neuropsychological changes in melancholic and atypical depression: A systematic review. Neuroscience and Biobehavioral Reviews, 73, 309-325. Chamberlain, S. R., & Sahakian, B. J. (2006). The neuropsychology of mood disorders. Curr Psychiatry Rep, 8(6), 458-463. Gentili, C., Cristea, I. A., Ricciardi, E., Vanello, N., Popita, C., David, D., & Pietrini, P. (2017). Not in one metric: Neuroticism modulates different resting state metrics within distinctive brain regions. Behavioural Brain Research, 327, 34-43. Goldstein, D. S., Bentho, O., Park, M. Y., & Sharabi, Y. (2011). Low‐frequency power of heart rate variability is not a measure of cardiac sympathetic tone but may be a measure of modulation of cardiac autonomic outflows by baroreflexes. Experimental physiology, 96(12), 1255-1261. Irle, E., Ruhleder, M., Lange, C., Seidler-Brandler, U., Salzer, S., Dechent, P., . . . Leichsenring, F. (2010). Reduced amygdalar and hippocampal size in adults with generalized social phobia. J Psychiatry Neurosci, 35(2), 126-131. Lieblich, S. M., Castle, D. J., Pantelis, C., Hopwood, M., Young, A. H., & Everall, I. P. (2015). High heterogeneity and low reliability in the diagnosis of major depression will impair the development of new drugs. BJPsych Open, 1(2), e5-e7. McClintock, S. M., Husain, M. M., Greer, T. L., & Cullum, C. M. (2010). Association between depression severity and neurocognitive function in major depressive disorder: a review and synthesis. Neuropsychology, 24(1), 9-34. Mokros, H. B. (1993). Communication and psychiatric diagnosis: Tales of depressive moods from two contexts. Health Communication, 5(2), 113-127. Peeters, F., Nicolson, N. A., Berkhof, J., Delespaul, P., & deVries, M. (2003). Effects of daily events on mood states in major depressive disorder. J Abnorm Psychol, 112(2), 203-211. Rahman, F., Pechnik, S., Gross, D., Sewell, L., & Goldstein, D. S. (2011). Low frequency power of heart rate variability reflects baroreflex function, not cardiac sympathetic innervation. Clinical Autonomic Research, 21(3), 133-141. Ten Have, M., Lamers, F., Wardenaar, K., Beekman, A., de Jonge, P., van Dorsselaer, S., . . . de Graaf, R. (2016). The identification of symptom-based subtypes of depression: A nationally representative cohort study. Journal of Affective Disorders, 190, 395-406. Veltman, E. M., Lamers, F., Comijs, H. C., de Waal, M. W. M., Stek, M. L., van der Mast, R. C., & Rhebergen, D. (2017). Depressive subtypes in an elderly cohort identified using latent class analysis. Journal of Affective Disorders, 218, 123-130. Yang, A. C., & Tsai, S.-J. (2013). Is mental illness complex? From behavior to brain. Prog Neuropsychopharmacol Biol Psychiatry, 45, 253-257 %W 23089053 %U http://dx.doi.org/23089010.23081016/j.pnpbp.23082012.23089009.23089015.